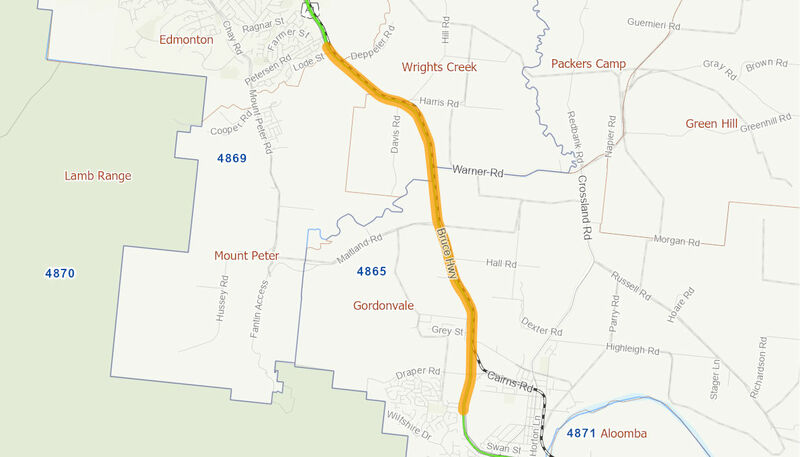 This project will see an upgrade and duplication to this section of the Bruce highway to a four lane at-grade road, with rationalisation of at-grade intersections and accesses and service roads where required. In addition, an off-road cycle path will be constructed. The Australian Government has committed up to $384.8 million towards the project in partnership with the Queensland Government. Construction works are expected to commence in late 2019 and be completed in mid 2023, weather permitting.